Julia Wallis Martin’s latest novel Dancing with the Uninvited Guest is dedicated to the memory of her first husband, Terry Flaherty, who died in a road accident in 1977. He was twenty-two years old. A widow at twenty, there was nothing initial about the shock. It lasted for eighteen months then this normal, apparently down-to-earth woman started visiting mediums. For four years, she travelled up and down the country trying ‘everything imaginable’ to make contact with her dead husband. 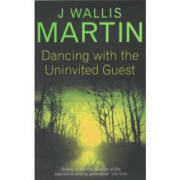 Julia never came close but she did come to several damning conclusions, which are explored with devastating effect in the pages of Dancing with the Uninvited Guest. 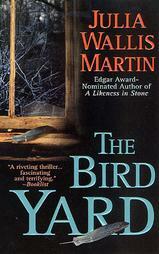 Not surprisingly, her intensely personal experience imbues the book with edge and authenticity. The narrative centres on a paranormal psychologist who believes there’s a rational explanation for everything - until she’s presented with the seemingly inexplicable: a young man who appears to be at the mercy of a malign entity. 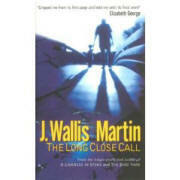 It’s a stunning story which is truly gripping from the first page. That’s partly down to location. The book is set in and around Lyndle Hall, a medieval manor house in Northumbria, which oozes more menace than any number of malevolent spirits. It’s peopled with psychics and parapsychologists, sceptics and psychiatrists. To my mind it’s her best work so far. After her fruitless odyssey into the spirit world, Julia set her sights lower. She started to look at so-called celebrity psychics; the sort that people flock to, desperate for details about a dead loved one. “I think I’d done everything I could possibly do. I didn’t come to the conclusion there is no life after death. I was brought up a very devout Catholic and that’s a very difficult thing to shake off… I believe in God but I also believe we are not meant to know whether there is life after death or what form it takes.” Which is possibly why chapter One opens with a remarkable passage comparing a world of light and air and that of an unknown, unseen world. You could say she’s on a roll now. She’s just signed a six-figure two-book deal with her publisher, Hodder and Stoughton. Before signing, they asked for a fifteen-thousand-word synopsis. Julia believes it’s a growing trend, not specific to Hodder. The book went on to sell sixteen thousand copies in hardback in its first week. With success come money and, with it, the need for more detailed synopses. As it happens, they’re an intrinsic part of Julia’s writing. She spends up to six months putting together a detailed blueprint for each book. It has everything: plot, chapter breakdowns, motivation, character. Although it develops as she goes along, she’s pretty sure she’d get writer’s block without it. Another way round the blank page/screen/mind is what she describes as writing in “jigsaw.” She writes the biggest scene first then the next and the next until she ends up with just the bridging scenes. She’s currently on her fifth book. She’s written the last chapter but hasn’t started the first. It’s a technique that wouldn’t suit everyone but it clearly works for Julia. Julia Wallis Martin is still delivering. Writing, she says, is in the genes. She reels off a list of relatives who are published and others who are working towards it. But it’s more than that. Elements from her troubled childhood inform her work. Her mother was a suicidal manic-depressive who died when Julia was seventeen. In the days before her death, she told Julia she was glad to be out of it; life was something, she said, for which she’d never quite got ‘the knack’. Julia acknowledges that she writes about exactly that: people who don’t have the knack. I’d interpreted the phrase differently; felt it was more to do with expectations and transience. She considers this for a while. It would be too trite to say that Dancing with the Uninvited Guest lays the ghost of Terry Flaherty. For Julia, it’s dedicated to the memory of his life.